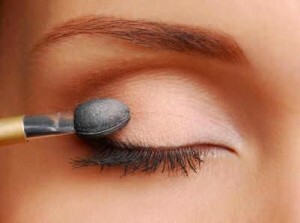 From the mid-half of your upper lid, apply the second color (YDK) up to the outer corner of your eye. The second color is a darker shade than the first one. Again it should go beyond the crease. Look half way down as you apply the color.